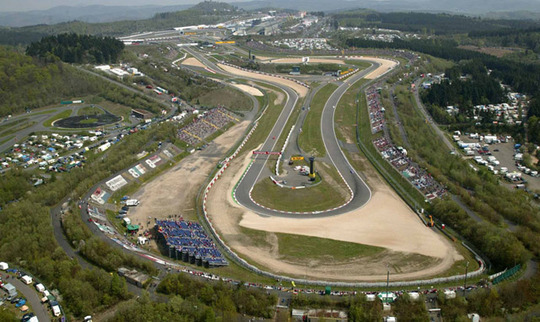 The Nürburgring (aka 'The Ring') is one of the most famous racing Circuits in Europe. The Ring is, quite simply, the ultimate driving experience. 13 miles and at least 73 bends make it what even top racing drivers describe as the most demanding circuit in the world. Imagine your favorite mountain road and your favorite race-track, and combine the best bits of the two, you'll get the general idea of what it's like to drive around the famous circuit. The Ring is an incredibly unforgiving place, but we think it's worth the risk.